KABUL, Afghanistan — Hundreds of people were wounded and dozens were killed on Tuesday in central Kabul, as a huge explosion struck during the morning rush hour. The Taliban claimed responsibility for the attack. Kabul’s police chief, Gen. Abdul Rahman Rahimi, said 28 people, most of them civilians, had been killed. But that number was expected to rise, as health officials said 327 people had been wounded. 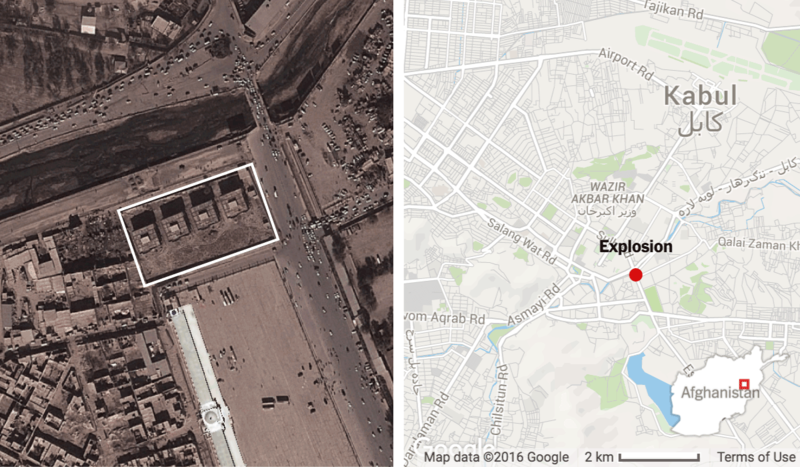 The blast happened in a crowded area, near several government offices and a busy bus stop. Sediq Sediqqi, a spokesman for the Interior Ministry, said a car bomb had been detonated outside the offices of the Directorate of Security for Dignitaries, an elite security force that provides protection to senior government officials. The explosion rattled windows in much of the city. Gunfire was heard after the explosion. Police officials said that militants had entered the compound after the explosion and that Afghan security units had arrived in response. But General Rahimi said just one militant had gone in, and that he had been gunned down in less than half an hour. “I saw dozens of people lying on the road hopelessly — some screaming, others silently giving out their last breath, and some already dead,” one of the wounded, Sadiqullah, 25, said, adding that more than a dozen vehicles had been badly damaged, with drivers and passengers either injured or killed. Witness, officials and survivors speak after a terror attack in Kabul on Tuesday that killed at least 28 people. The Taliban has taken credit. 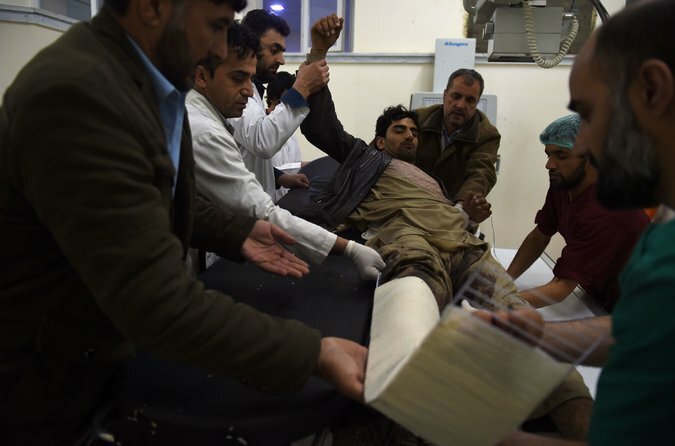 Mr. Sadiqullah, who runs a tea shop and, like many Afghans, goes by one name, said the blast was “so strong that I felt it struck me or my shop personally.” Mr. Sadiqullah suffered a head wound. A spokesman for the Taliban, Zabihullah Mujahid, issued a statement that claimed responsibility for the attack. The statement said that “a truck full of explosives” had been detonated before fighters entered the compound. Security forces in Kabul, the Afghan capital, have been on high alert since the Taliban announced their annual spring offensive last week, amid reports that suicide bombers had entered the city and were planning attacks. A car bomb exploded outside the offices of an elite security force that provides protection to senior government officials. Even as the Taliban stretch Afghan forces throughout the country, with fighting raging across multiple provinces, complex urban attacks remain crucial to their insurgency. The pattern is often the same: After a vehicle-borne explosion creates chaos and an entry to their target building, militants equipped with weapons and suicide vests storm in and fight until the police, and the elite Crisis Response Unit, kill them and clear the area. The urban attacks bring the insurgents what even major battlefield gains in remote areas of the country cannot: headlines, and a disruption of daily life that increases pressure on the government.